We are awash in data – some of it crucial to operational success, some of it simply noise. Virtually every device we pick up and piece of software we use offers insight into our habits, our desires and our patterns. High-growth, cutting-edge companies have long ago learned to channel and leverage this data into actionable insight driving critical business and marketing decisions. Even for companies well aware of the value of data, translating this insight to events and event strategy – in real-time, no less – is a leap. We possess the ability to collect and measure an amazing amount of attendee data with incredible levels of granularity – but is that enough? What are we really learning and what do we do with what we’ve learned? Today’s competitive landscape requires innovative companies to not only learn lessons from past engagements, but also adapt in the moment. For B2B companies that host their own events, the challenge is twofold: Event hosts need reliable methods of data collection, and they need inventive ways to analyze and act upon that information in real time. How Do You Gather Event Data in Real Time? Collecting useful data from a throng of attendees is certainly a challenge, but emerging technologies are making it easier than ever to glean actionable insights from event crowds. The primary difficulty isn’t the actual capture of data, but determining which types of data are most relevant to your needs. For instance, if you want to optimize pedestrian traffic between event halls, it probably won’t do you much good to collect heart-rate data from smart watches. Rather, you could create a heatmap of the convention floor using static floor sensors, wearables, or smart cameras. Another option might be to include an RFID tag on attendee badges or wristbands. The method with which you collect attendee data should be specific to your purpose. Then, you’ll need some way to analyze that data so you can make adjustments accordingly. Likewise, event-specific apps can provide another way for attendees to submit data voluntarily through live polls, Q&A interactions or integration with social media apps. Indeed, social media itself can become a powerful channel through which to collect attendee feedback. Hashtags allow event producers to place their fingers on the pulse of the show, gaining valuable insights into what parts of the event are generating the most buzz. New technologies such as facial recognition could make it even easier for event managers to get granular insights into how individual attendees interact with the show. For example, if attendees register with their Facebook accounts, a facial recognition algorithm could identify registered attendees and track their movements across the show floor, allowing for personalized interactions via the event app. In addition to delayed forms of feedback such as surveys, comment cards and email follow-ups, real-time data gives event managers the ability to boost engagement and satisfaction rates. However, collecting this information isn’t enough. The data has to be actionable. 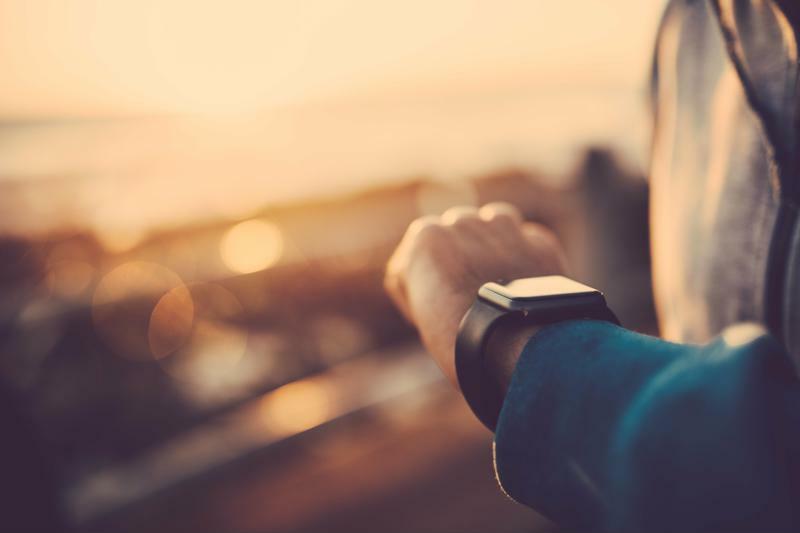 Wearables are just one way to collect event data in real-time. How Do You Make These Real-Time Insights Actionable? Having data is great but getting the most out of face-to-face events requires more than just hoarding data. Having the ability to utilize that data in real time allows B2B companies to interact with attendees on a more personal level, creating a more involved, exciting experience. Marketing guru Seth Godin explained to BizBash that unique connections are what make events special to attendees. “If you want [the event] to feel special, then the more impromptu Q&A, live elements you can add to a speaking event, the more likely it is the audience will feel they are witnessing something special. All of those things introduce risk for you and all of those things are worth it, because that’s why the audience is there: to feel like they were touched by other people and by the speaker,” Godin said. An example: Say analytics showed that a particular speaker’s talk was packed with attendees, and then those attendees went on social media to discuss what they heard. This might prompt the event managers to schedule an encore performance later in the day, so more attendees can experience it. The announcement could be delivered via the smartphone app, or by a live content distribution system such as Marquee. Likewise, this access to real-time feedback can improve the value proposition for event sponsors. By being able to identify less-trafficked areas on the conference floor, and redirect attendees via content distribution systems and digital signage to these areas, host companies can improve experience for sponsors by driving traffic to their exhibitions. Approximately nine out 10 event professionals in the U.S. believe securing event sponsors will be a challenge this year, so improving the value proposition will be even more important. Showing ROI through real-time analytics may provide some peace of mind for event planners and sponsors alike. 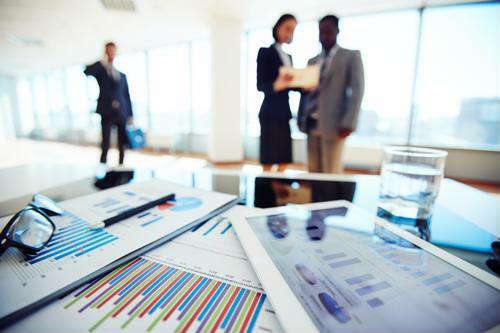 Gathering and utilizing real-time data is soon to become a standard for B2B events. Be ahead of the curve by embracing the power of this moment. Reach out to find out how OVATION can help you harness data to shape your next event. From ‘wow-worthy’ event design and production to anywhere, any time, any device content design, development and distribution, we integrate your event content and strategy with your company’s overall strategic initiatives. Contact us to find out how OVATION can help you leverage data to improve your overall event experience for attendees.